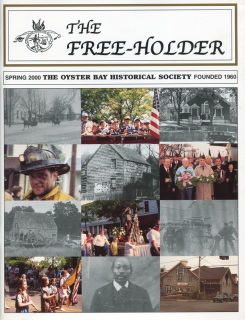 The Oyster Bay Historical Society celebrates its fortieth anniversary in photographs and feature articles covering Society functions and activities from its founding in 1960. As part of the Twentieth Century Heritage Series, the Oyster Bay Historical Society explored the experience of Italian immigrants in and around Oyster Bay. In conjunction with the Twentieth Century Heritage Series, the Oyster Bay Historical Society examined area residents at leisure and play during the last century. In honor of the Town of Oyster Bay's 350th Anniversary, the Society joined with local artists to celebrate and showcase work representating both our rich artistic tradition and lively contemporary scene. An interesting way to learn about a community -- and to consider the inseparable issues of preservation and restoration -- is to study its residential architecture. 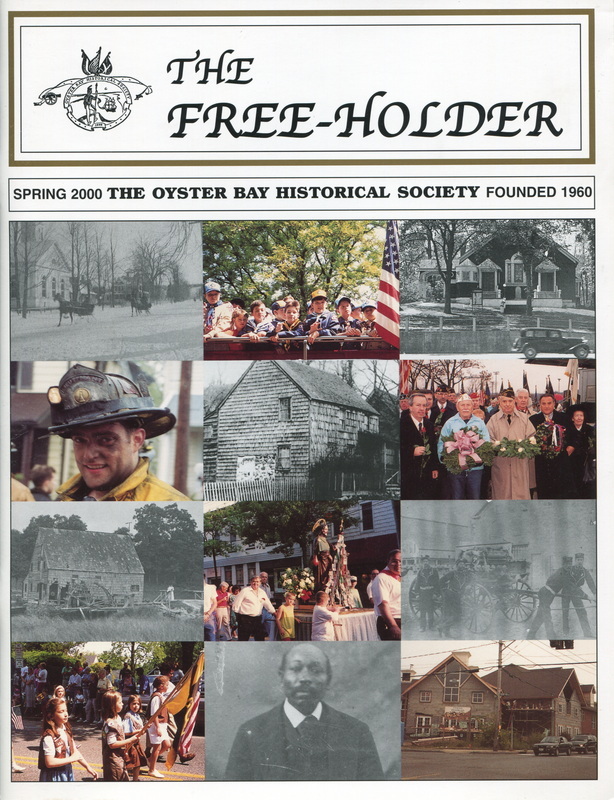 This special Freeholder issue examines Oyster Bay's domestic architecture, beginning with a look at three seventeenth-century houses that survived into the twentieth century. This commemorative journal documents the installation of Alexander Phimister Proctor's statue of TR as Rough Rider at the southern gateway to Oyster Bay and includes articles by John Staudt , John E. Hammond, and others. Published in conjunction with the Oyster Bay Historical Society's exhibition High Society, this issue documents the region's Gilded Age with interviews and illustrations provided by descendants of estate owners and their staffs. Essays by Maureen Monck and Bradford Warner are featured. Click here to download order form! !